and more than 20 eclectic shops in the Fishing Village. and Vizcaya Museum and Gardens. Ocean Reef Club combines a taste of the Caribbean with the ultimate in stateside convenience and security. Less than an hour’s drive from Miami International Airport, on the north shore of Key Largo, Florida, the 2,500-acre private community claims its own airport, meaning guests can arrive by land, sea, or air. The U.S. Secret Service calls the gated community one of the most secure in the nation, which only partly explains the top-level dignitaries who appear regularly on the guest list. Groups gathered for meetings, corporate retreats, and conferences convene in 30,000 square feet of space, including Town Hall’s 7,500-square-foot ballroom. In 2016, Carysfort Hall made its debut with a new cooking school that can host 120 attendees, a 5,600-square-foot ballroom, and 10 naturally lit breakout rooms that open to covered terraces overlooking the marina. Adjacent to Town Hall, Carysfort Hall now serves as the central core of the meeting space. Buccaneer Island, the Caribbean-style beach club, adds the Ocean Room, two pools, cabanas, a saltwater swimming lagoon, and a sandy beach for private parties and themed events. Like the meeting and event spaces, all 275 rooms and villas lie just a short stroll or golf-cart ride away from an endless choice of free-time pursuits. Favorites include golf on two 18-hole championship courses, world-class tennis and lawn sports, snorkeling and scuba diving, boating and fishing (flats, reef, or deep-sea) from a 175-slip marina, pampering at the spa and salon, workouts at the fitness center, and dining at a choice of 12 restaurants and lounges. If you are looking for the feeling of seclusion, as if you had the entire resort to yourself, this is the place! The attention to detail is bar none! The meal presentation was exquisite, the sleeping rooms were beautifully decorated to make you feel like you were in a cottage on the beach. The hotel staff were very friendly and helpful! It was an overall amazing experience. 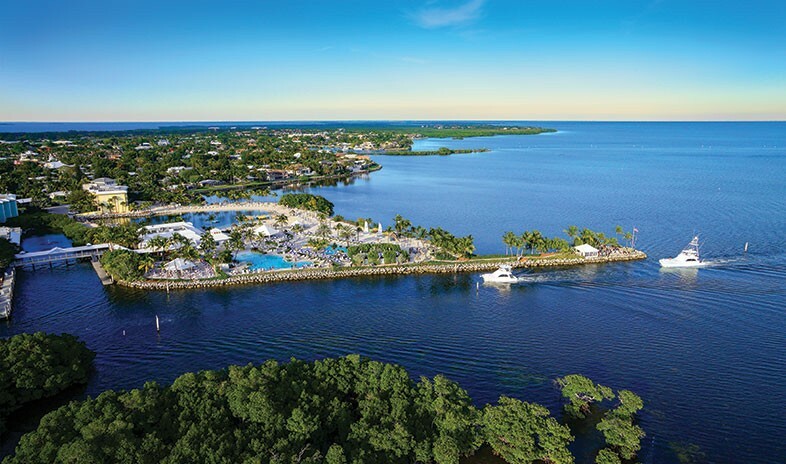 Ocean Reef Club is a first-class experience for clients and customers. It's a unique community for destination and incentive events, and a proven relationship builder. The conference services staff at ORC goes above and beyond to make sure that not only your clients are well taken care of, but that the planners are, too. There is a real sense of community while you're on property. Meeting space is conveniently located, and fishing, snorkeling, spa and golf will keep your clients busy and happy! Catering and on-property restaurants are top of the line. Seafood is fantastic! I have been bringing our group to Ocean Reef Club for over 20 years. It is an excellent facilty, with first rate staff, providing an outstanding meeting experience. Ocean Reef is an excellent place for events and it is my favorite place for golf and relaxation. First-class and excellent service. The total experience from the facilities to the service—and most importantly, the staff—was outstanding. Ocean Reef does it right! Ocean Reef is the perfect setting for a business meeting for attendees that expect excellence. The program couldn't have been executed better or in a more professional manner. We look forward to returning to Ocean Reef. This unique property is a great place to hold a program for an executive group, or those who enjoy a bit of privacy. Ocean Reef is very secluded (yet less than an hour from Miami) and is used to catering to an exclusive roster of members. There are lots of things to do on property from golf, tennis, kayaking, etc., but the "outside" is too far away to be practical. They have 2 challenging golf courses and my group had a great time. While we were there, they had overextended their banquet team by hosting 2 meetings and a member's wedding. We did feel the strain but at least the resort acknowledged the shortcomings and made up for things in the end. Big warning: there is no spa on property, though there are plans for one in the future. They do provide spa treatments (and they have great therapists), but it's not the same as a Spa Retreat if that's what you require.